Julie completed a Bachelor of Science Degree, University of Sydney, in 1991,then worked for NSW State Government Departments in Environmental Science for 12 years restoring and protecting rivers and estuarine environments. 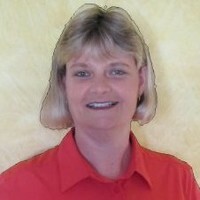 In 2008, Julie completed a Graduate Diploma Education (Primary Teaching– with Merit) University of Newcastle. Julie has been a Teacher for the NSW Department of Education for the past 8 years, teaching at the Field of Mars Environmental Education Centre and more recently Botany Bay Environmental Education Centre and Bringelly Public School.Julie is also working for the Australian Association for Environmental Education on their Sustainable Schools NSW project. As a primary and secondary teacher Julie develops and delivers new and innovative environmental and sustainability education programs and resources for outdoor, experiential learning aligned to the NSW Syllabus. 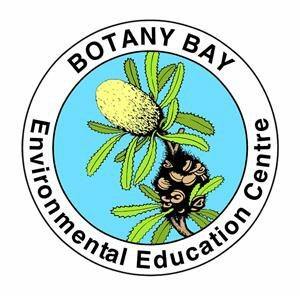 I also design and deliver teacher professional development workshops in environmental education and pre-service teaching development with Macquarie University. Julie gained her Bronze, Silver and Gold Duke of Edinburgh Awards in 1986-1988, and was also awarded the Queen’s Scout Award while a Venturer Scout in 1988. For over 8 years she has been an active Volunteer Scout Leader. In 2014 She was awarded ‘Holroyd City Council’s Citizen of the Year’ at the Australia Day ceremony for services to Scouting and the Youth of Holroyd. In November 2016 Julie was chosen as a delegate for the Emerging Leader’s Dialogue Asia (ELDA) and is now an active member of the CSC Leaders Alumni (Commonwealth Studies Conferences) of which HRH Princess, Royal Princess Anne is President. Julie has attended recent CSC Alumni functions in London (May 2017) and Hong Kong (November 2017), and continues to work with an amazing group of people from around to world. In April 2017, Julie was admitted as a Fellow of The RSA (Royal Society for the encouragement of Arts, Manufactures and Commerce). The RSA Fellowship is a powerful international network of accomplished individuals committed to social progress. Through our ideas, research and 27,000-strong Fellowship, we seek to harness the extraordinary amount of untapped creative potential in society— by empowering people to be active participants in creating positive social change and tackle the challenges of the 21st Century.